Challenge: To create larger objects, using the 3D Printer to create connectors to go at the corners to ensure that the large structure could be build. In this instance the ultimate goal is to produce a hydroponic set up for the students. Background: The teachers and students were looking at additional design tasks to extend the students. This project is a significant one, that is being drive by using the 3D printers to create connectors to allow the build to progress with aluminum pipes which has been custom cut for the project. Task: Some of the old filament from the first 3D Printer (2014) was used along with additional prints. The size and dimension of the aluminum piping determined the width and the size of the connection. As the design was based around a large rectangle shape the connectors needed to have three links on each of them. Level of Difficulty: Low - the connectors dimensions were determined by the aluminum piping and its dimensions so it was obvious what was required. Various tests on the width and the fit of the connectors were made to ensure that there was a close fit, although its anticipated that the final version will require some form of permanent bonding. 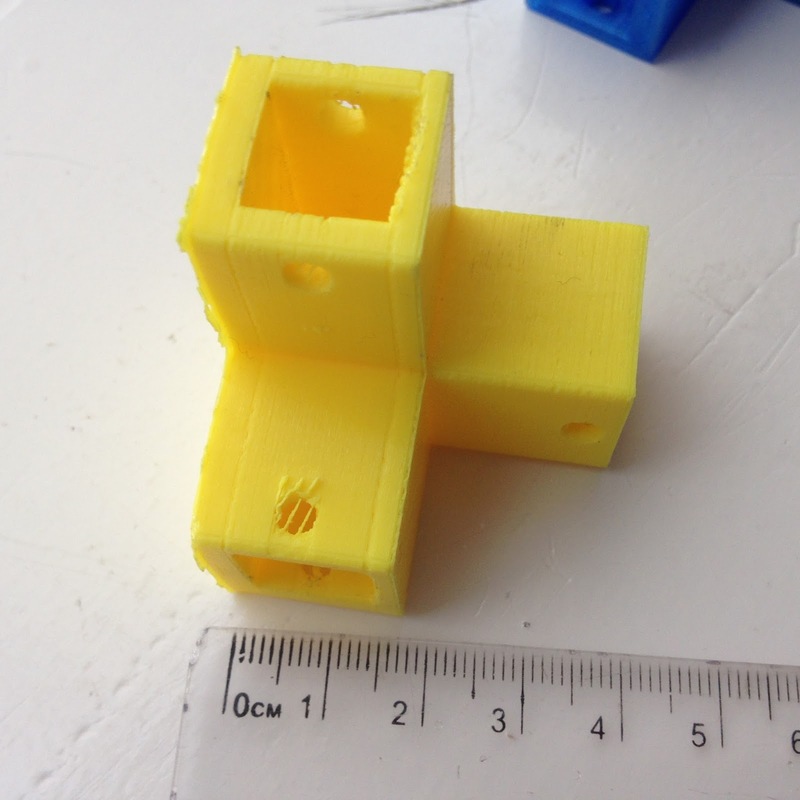 Issues: None - although the ultimate success of the project will depend on the additional pieces this is the first time that custom made connectors for a project have been 3D printed. Size: 4cm x 6cm x 4cm. Dictated by the role of the connectors and the size of the aluminum piping used. Timeframe: Multiple connectors were printed on the bed at each time to ensure as many as possible were produced, resulting in an overnight print (which would mean individual pieces would be produced in a four hour print). Process: The students used Tinkercad to produce the files which were converted for the printing. 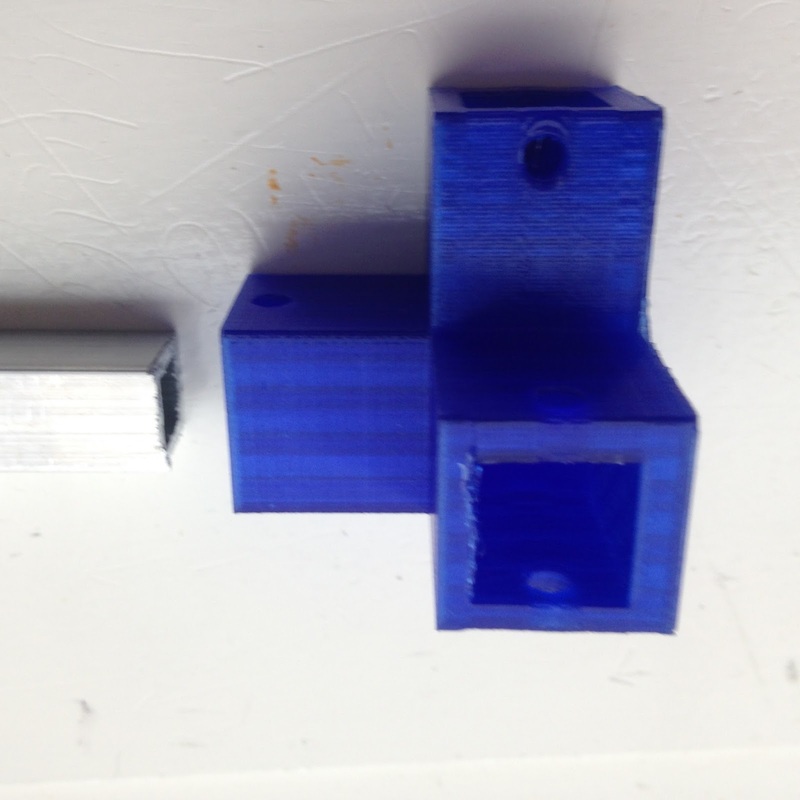 The older filament, which is dating back to the end of 2014 was able to produce a workable print. Tinkercad/Cura were utilized again, as was the Ultimaker 2+ which was able to produce better quality prints than the others produced by the Ultimaker 2. There are considerable prints to follow in this series and they will be updated in posts to come on this site, including assembled pictures of the piping.